Multi-step circles Color by Number NEW! Positive only. Multi-step Find and Fix Standard NEW! Given problems solved incorrectly, student will identify errors and then find the correct solution. Multi-step Pair Share Standard NEW! Pair work. Student A solves one column, student B solves the other column. Answered correctly, answers will be equal. Multi-step perimeter Standard NEW! Given perimeter of polygons, students solve for x.
Multi-step with combining like terms Riddle Combining like terms only. Multi-step with distributive Riddle All have distributive, some with one extra term outside the distributive. All Operations One Step Equations Quotes All answers are integers. All Operations One Step Fish Color by Number NEW! All answers are integers. All Operations One Step Mario Color by Number NEW! All answers are integers. All Operations One Step Maze Maze NEW! Follow path of correct answers to reach the end. Solve using addition and subtraction Riddle Positive only. Solve using addition and subtraction 2 Riddle All answers are integers. Solving using multiplication and division Trivia Positive only. Solving using multiplication and division 2 Riddle Division in fraction notation. Some answers are fractions. Basic Riddle Positive only. All integer equations and answers. Two step Bird Color by Number NEW! All integer problems and answers. Two step Octopus Color by Number NEW! All integer problems and answers. Two-step equations Riddle All integer problems and answers. Two-step Number Puzzle Number Puzzle NEW! All integer problems and answers. Variables on Both Sides Basic Riddle At most 2 terms on each side. All integer equation and answers. Variables on Both Sides Ninja Color by Number NEW! Basic, all integer equations and answers. Variables on both sides with distributive Riddle All integer equations and answers, with distributive on one or both sides. Variables on Both Sides1 Droodle NEW! All integer equation and answers. With Identity No Solution 3 Riddle NEW! 18 problems, a few have solutions but most are identity or no solution. With Identity No Solution 4 Maze NEW! All Identity or No Solution, student follows path of correct answer to complete maze. Multi step decimals Riddle NEW! Up to hundredths place. Multi step decimals 2 Riddle NEW! Up to hundredths place. 15 problems. One step decimals Riddle Positive only. Solve using addition and subtraction. Decimals to the tenths only. One step decimals 2 Riddle Positive only. 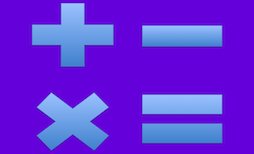 Solve one step with addition or subtraction. Decimals up to thousandths place. One step decimals 3 Riddle Positive only. Solve using multiplication and division. Decimals up to hundredths place only. One step decimals 4 Riddle Solve with all operations. Decimals up to the ten thousandths place. Two step decimals Iron Man Color by Number NEW! Decimals up to hundredths place. Variables on both sides decimals Riddle NEW! Up to hundredths place. Does not include identity or no solution equations. Multi-step with fractions Riddle NEW! 12 problems, half with fractions. Multi-step with fractions 2 Color by Number NEW! Blue duck color sheet. 12 problems. One step fractions Riddle Positive only. Solve using addition and subtraction. Mixed and improper fractions included. One step fractions 2 Riddle Solve using all operations. Improper fractions only. Two step with fractions Riddle NEW! 15 problems. Two step with fractions 2 Riddle NEW! 12 problems. Variables on both sides fractions Riddle NEW! 12 problems.